Single family, beach front home. "A step back in time." Thoughtfully designed and carefully maintained, pre-war home which may remind you of "The Summer of '42." 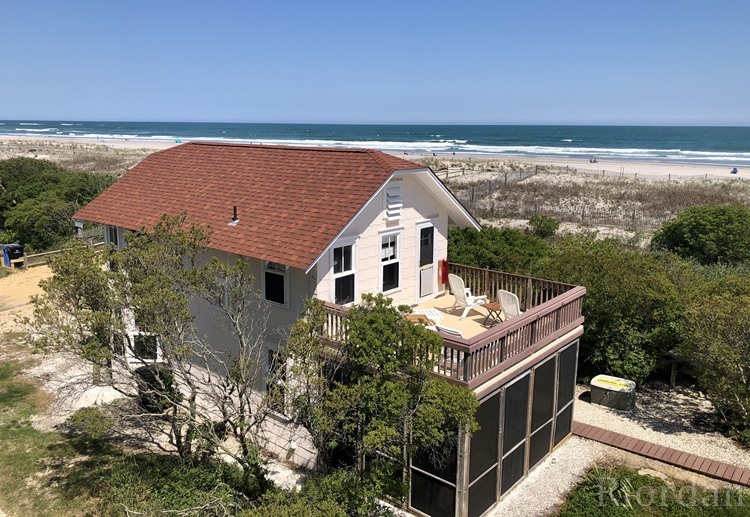 Two furnished ocean-front decks, one with mahogany railings and a table/umbrella set and four chairs for relaxing breakfasts and full morning sun; the other, a second story deck with 180 degree views of the ocean from Atlantic City to Avalon. 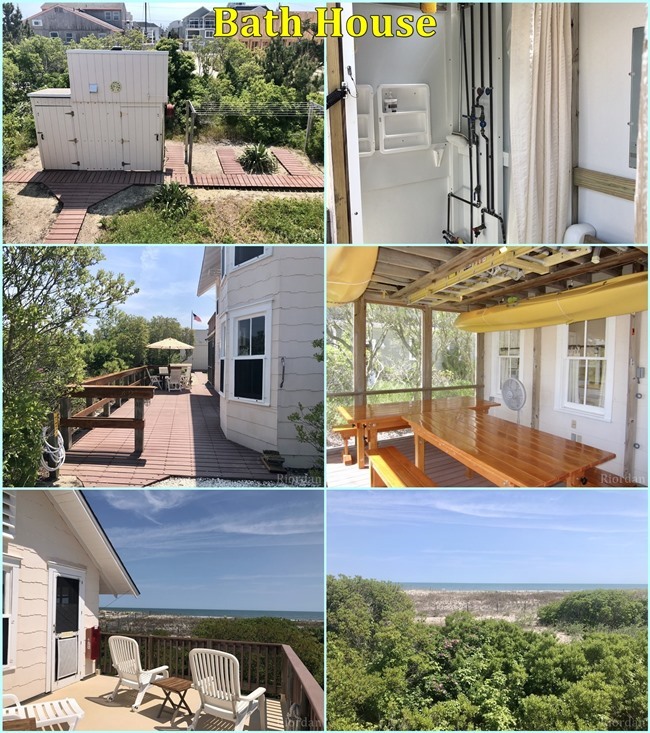 Also, a fully screened porch directly off the kitchen, for classic seashore dinners prepared on a charcoal grill just a couple of steps away. Ocean views from every bedroom. Solar-powered, fully enclosed shower and fully equipped bathhouse. Twin whole-house attic fans circulate ocean breezes and require the use of light covers most evenings. 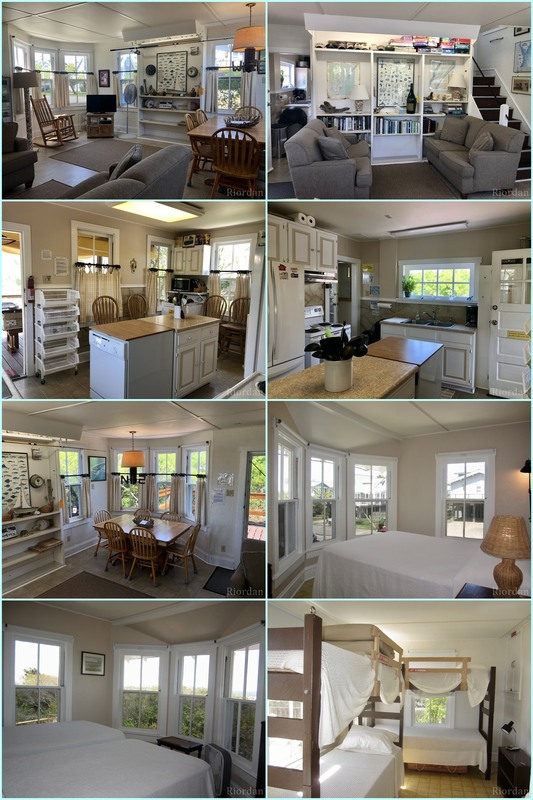 Steps to the beach and convenient for quick runs from beach to house. No roads to cross, perfect for parents with younger kids or for mature adults. Off-street parking for 5 cars. Same owner for over 30 years." Linens, towels and beachtags are NOT supplied by owners.